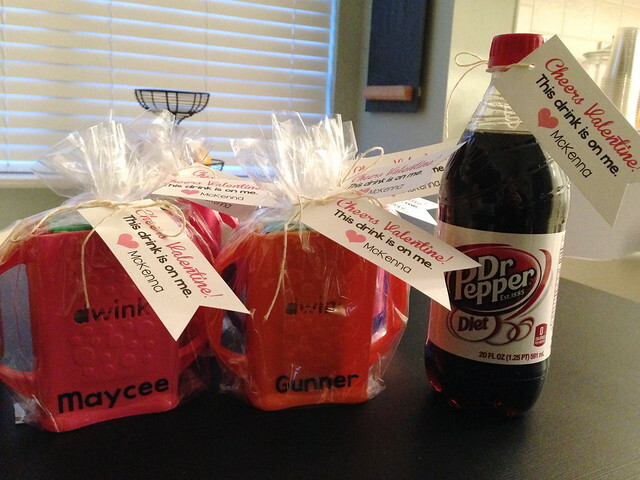 Remember Valentine's Day? Well here is a way belated post of how we spent ours. 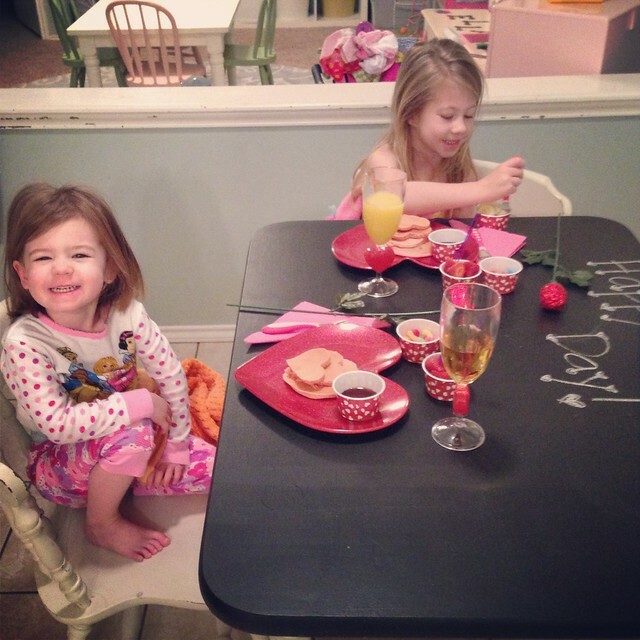 The girls woke up to a very hearty breakfast. 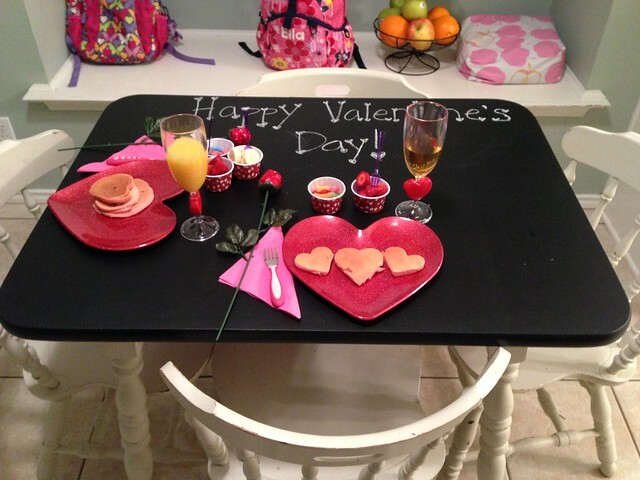 You can't go wrong if you start your day with pink heart shaped pancakes, candy and a chocolate rose. They loved it. Bob was actually off work for dinner so we were thrilled to all go eat together. We took it easy this year and didn't bust out the dance floor like last year. We ended the night at this cute little bakery in Georgetown with cupcakes and chocolate covered strawberries. It was perfect. 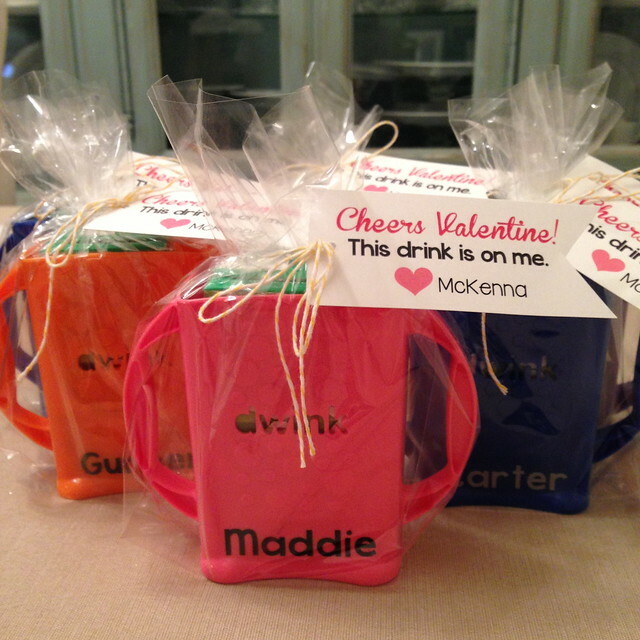 The girls got to take Valentines to their school friends and I had so much fun making these. For Ella's, I did the same thing as last year. Since she is in a different school they weren't a repeat for any of the kids. 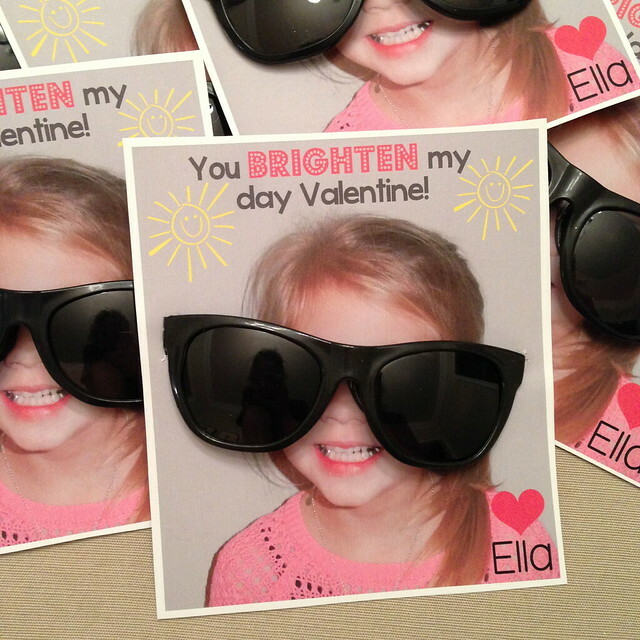 I took a picture of her wearing a pair of sunglasses and then designed the Valentine on my silhouette. 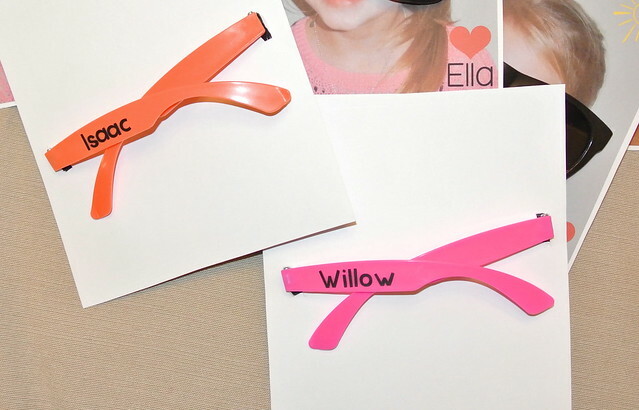 After printing them off, I made two slits on the side of her face for the glasses to go through. I think they turned out so cute. It was the first day in a while that the sun actually came out so it was perfect timing. 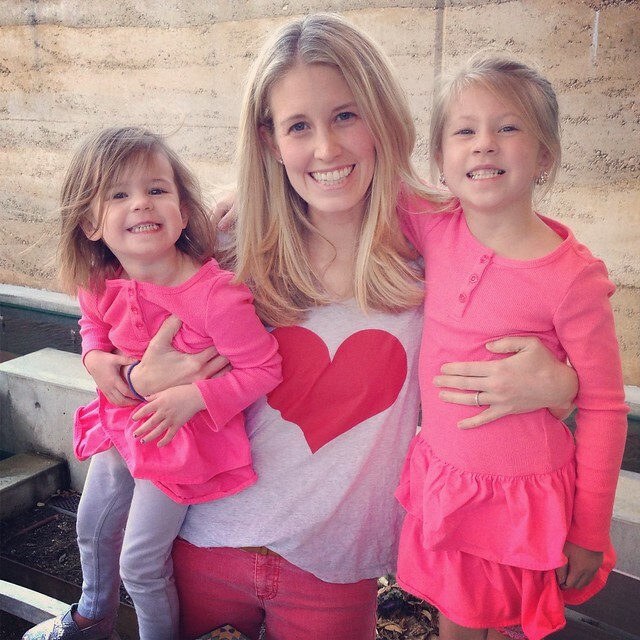 McKenna is always with me when I drop Ella off to school so she has a special bond with Ella's teacher as well. 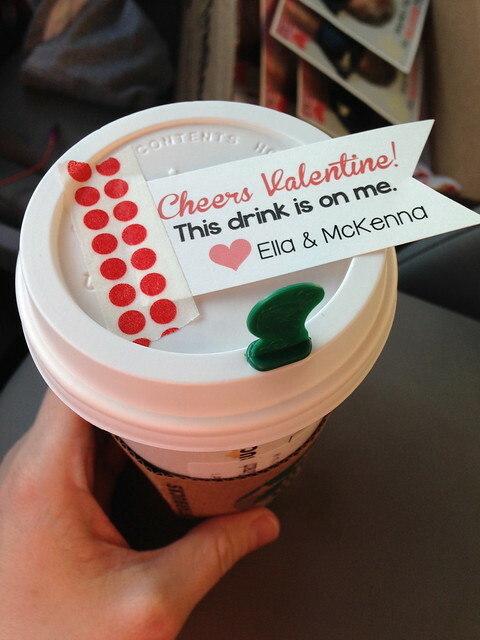 McKenna was so excited to deliver her favorite coffee drink. McKenna is still with a lot of the same classmates so she couldn't repeat the sunglasses one again. 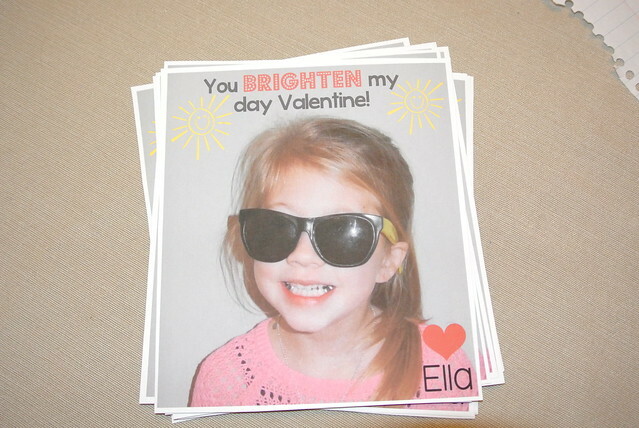 I love how her valentines turned out this year though! I saw this idea on this blog last year. It was so perfect for McKenna. That girl loves apple juice and we rarely drink a juice box without one of these holders. I bought the juice box holders from hobby lobby. I started buying them a while ago so I could use my coupon for each one. It's rare that I plan that far ahead but it was great getting 40% off each one.